Written and Compiled by Dr Ruwan M Jayatunge M.D. There is always this element of concealed accusation in neurosis, the patient feeling as though he were deprived of his right-that is, of the center of attention - and wanting to fix the responsibility and blame upon someone. Schizophrenia was originally called the senility of youth by Kraepelin in 1911. Kraepelin originally called schizophrenia Dementia Praecox. He believed that the typical symptoms were due to a form of mental deterioration which began in adolescence. Symptoms are mainly disturbances of thought processes but also extend to disturbances of behavior and emotion. He called the illness schizophrenia, meaning split mind or divided self in which the personality loses its unity. Kraepelin believed that dementia praecox was primarily a disease of the brain. For schizophrenia Freud sometimes uses the term "dementia praecox. 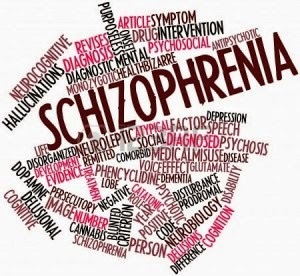 Freud’s early consideration of schizophrenia as a non psychotic continuation of mental disorders, he later concluded that some of its aspects could be comprehended from a psychological point of view. Freud seems to suggest here that narcissism is a later stage in human development than auto-eroticism, the ideas of "ego-libido" (inward-directed libido invested in the ego) and "object-libido" (libido directed outward toward objects, including other people) have value for Freud because they are derived from direct observations of the nature of psychological processes in patients. Freud's (1911) hypothesis explains the basic disorder in schizophrenia consists in the patient's inability to maintain the libidinal cathexis of objects. The fact that patients suffering from the two principal types of schizophrenia present signs of real and fantasy object relationships has been taken as evidence that the illness cannot be based on a decathexis of object representations. This contradiction is easily dispelled if account is taken of the real likelihood that these object relationships, which are mostly of a pathological kind, represent a spontaneous tendency towards recovery. They are therefore secondary to the primary disorder and a reaction to it. In the original theory Freud (1911) described the flight of the libidinal cathexis from the love object in schizophrenia as a form of repression. After the introduction of the structural theory (Freud, 1923) he dropped this term. Freud concludes that the libido theory does not help to explain schizophrenia. The psychoanalytic sense of "libido," which Freud describes as an energy that can be directed to human beings or, as in the case of the anchorite in the example, sublimated and directed toward non-human objects such as God or nature. The ascetic can sublimate and redirect his or her sexual desires for other human beings, but that does not mean that the libido is directed toward the ego, as in Freud's conceptualization of the etiology of schizophrenia. Freud concluded that schizophrenia, like homosexuality was due to nurture. But the contemporary researchers do not support this argument. The psycho analyst Carl Jung deeply studied the schizophrenic patients. Supervised by Bleuler, Jung and a group of therapists originated the idea of symbolic communication to comprehend schizophrenic patients. Their method helped to improve the communication skills of the patients. The Psychotherapy of Direct Confrontation evolved from an eclectic theoretical orientation originated by Rosberg, but the technique suggests basic suppositions that give grounds to the therapy of the chronic schizophrenic. According to Rosberg schizophrenia can be treated with psychotherapy as a supportive therapy. The schizophrenic patients feel rejected, despised, detested in their significant interpersonal relationships. To decrease the suffering therapeutic acceptance is fundamental. In psychological context Rosberg argues that Schizophrenia is a survival mechanism and the symtomatology is a way for the schizophrenic to be distant from others, to decrease suffering and the fear of rejection. The therapist tries to persuade the patient to abandon his negative symptomatology and learn more effective and more appropriate mechanisms for a positive life. Rosberg believes that many factors may cause schizophrenia. He does not deny the possibility of it being organically based. The main task of the therapist is to help the patients to live a reasonable, meaningful and productive life. For Rosberg, the defense mechanisms in the schizophrenic patients are conscious and unconscious. Rosberg suggests that the chronicity of schizophrenia is based on the organization and systematization of the delusional system. Rosberg thinks nobody is totally schizophrenic. In his therapy technique, he constantly seeks a way of finding the healthy basic nucleus. Rosberg says “I believe that there is some healthier life in the internal world of every schizophrenic". (Rosberg 1982).